For a true F1 fan, the season is very thrilling with lots a drama to see in first 3 races. Rookies and junior drivers are doing good while Ferrari are not in their best form. Not to miss the F1 fever, this guide helps you watch Formula 1 live online on your favorite channel and device from anywhere. Keep scrolling down to learn more! Get PureVPN Annual Plan at 70% Off and watch all the 21 F1 Grand Prix races live without any problems. Download PureVPN app or configure it on your preferred device. 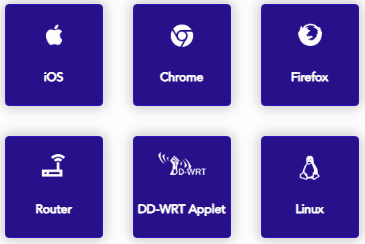 PureVPN supports all major devices on which you can enjoy live F1 race such as PC, Mobile Phones, Tablets, Routers, PS/Xbox, KODI, ROKU, Smart TVs, etc. Open the PureVPN app and connect to Hotstar or TenPlay from Channel list in streaming mode. After the connection is made, channel website will open up in new tab. Navigate to F1 or watch live section and start enjoying your favorite driver live in action. There are some more channels in F1 broadcasting list that telecast live races in different regions in multiple languages. If you wish to watch any of the below channel, you need to perform the first 2 steps as it is and in 3rd step find the channel in app list or connect to the country server where the channel is accessible. Here’s a complete list of all online broadcasters offering F1 live streaming. Learn the steps below to watch ultra fast streaming of live F1 races. 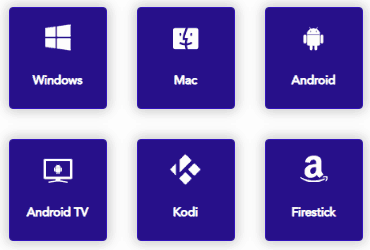 You can access any of these channels for high speed streaming from anywhere through PureVPN. Try it Now! For channels that are not in PureVPN’s popular website list, you need to connect to required country server and access their website for streaming. Sky Sports F1 has the most expensive subscription in all sports channel. Although their coverage and streaming quality is exceptional but they are strictly restricted in UK only. They even don’t allow proxy or VPNs to get access to them through UK IP. This is a great obstacle for F1 fans who want to enjoy Formula 1 races live. Furthermore, their Sports Passes through NowTV, such as Day Pass, Week Pass or Monthly Pass requires a UK based Credit Card to process payments. This means, even if you can access it via VPN, you will not be able to get their subscription if you do not have a UK Credit Card. PureVPN suggests to below streaming channels to F1 fans who don’t want to watch on Sky or are unable to access Sky Sports. These websites are picked on the basis of streaming quality, presenters and affordability by all the F1 fans. You can live stream Formula 1 races on various devices using PureVPN. We have exclusive guide for How to Watch Formula 1 on Android. If you want to watch F1 on Kodi, follow this complete guide to How to watch F1 live on KODI. Below is the driver standing after Chinese Grand Prix 2019. Team standings after third round of 2019 race at Shanghai. Click for Formula 1 2019 Race Calendar. F1 2019 season is going to be big as we are going to see some major technical modification in design and engineering of the cars. Furthermore, the driver lineup, race calendar and logo is also been changed which can have an impact on the sports viewership. It is assumed that the halo will have an impact not only on drivers performance but on viewers too. We can expect a tough battle between Ferrari and Mercedes. Most importantly, the Malaysian Grand Prix and the grid girls will be missed. We asked some F1 Fans about their expectations for F1 2019 season. Rex Mutero, who works at Paramount Pictures and is a F1 fan says “I think it is going to be a very interesting season from a drivers standings point of view otherwise on track the beat goes on. I strongly feel Lando Norris in that Mclaren will emulate Lewis Hamilton’s debut season in 2007. Leclerc will definitely be Seb’s toughest teammate yet because they will both vying for the WDC. Henny Triskaidekaman, Formula 1 enthusiast since 2004, shared her predictions after Australian FP. She expects “Lewis Hamilton will face more serious challenge from Valtteri Bottas. Circulating news about public concern on boring F1 resurfaces again (similar with 2013–14). Plus, Lewis already collected five titles under his name. I believe he doesn’t loosen his grip on eyeing the sixth title, but Valtteri is still there to give him some hurdles. Charles Leclerc will seriously challenge Sebastian Vettel in an unexpected fashion. Seb might lose this battle and he will face imminent declining career. Seb often face mentality problem when he team-mated younger driver (last time it was Ricciardo in ‘14). This time, Charles who only carries responsibility to show his true potential as Ferrari future will face Sebastian who is under threat of declining career after his title number surpassed by Lewis. Australian team-order showed it all in a nutshell. That team-order thing, too. I am sure someday Sebastian will be angry about something related to team-order, may be in June or July. Max Verstappen will seriously challenge for the World Driver Title. Without a doubt, his bold movement on Sebastian in Australian GP and his dominancy towards Pierre (Gasly) have wrapped the potential up. Fernando Alonso is announced to return to F1 2020 someday in the summer. I still cannot predict where he would land (but I believe Red Bull wouldn’t sign him due to age and behavioral problem), but that Honda re-challenging thing will force Fernando to rethink his decision. One of Albon or Giovinazzi is going to stripped out before end of season. Considering Russell and Norris are British rookie drivers, in which can put them in “safer situations”, there are Albon and Giovinazzi left as rookie drivers who might be more vulnerable against stripping. Williams will be plunged further. George Russell is apparently better than Robert Kubica in Australia, considering Kubica has some problems that enforced him to pit 3 times in that race. But if Australian GP performance has shown Williams’ true power, then the future for Williams this season will be as dim as last season. Formula 1 fan Dany Bravo thinks that Vettel will win the championship this year. “There will be close points gap between the top 4. Haas will give a tough fight to Renault if its drivers stay focused. Williams will fail again, with McLaren and Racing Point finishing last 3. I don’t expect much from Rookies. Charles Lecrec and Pierce Gasly will be able to impress. Clemens Sehi is a German F1 fan and Vettel’s supporter. He expects a lot from the 2019 Formula 1 season, but not to be any more exciting. It will be pretty much the same, I guess, with Mercedes going into this year as the favourite. Anyways, I hope that it will be closer than last year. It would be great for the whole sport. I think that an important point is the new halo head protection system, that will be introduced this season. It will surely make a significant visual impact to F1. But will it also be an impact when it comes to results as well? I can only hope so. Ben Smith, F1 fanboy for the last 25 years supports Mercedes and says “A Mercedes 1/2 in the drivers championship – Hamilton will be given No. 1 status – I honestly think this is the hang up in his new contract, he wants it but Toto wants to keep the same rivalry. There is no way they will let brand Hamilton go. Steve Perry, from Costa Rica says “I think the beginning of the season will be interesting, but by the end of the season with only a few Mercedes engined cars still running on their third and final engine penalties will basically ruin the championship. Hamilton will win, as expected and the races will be pretty much processional with Mercedes leading Ferrari and Redbull with the rest kind of making up the semi entertaining rear. I will be frequently adding more views from the F1 avid fans, journalists and technical analysts. If you have some insights, personal views or big news, feel free to comment below. Where can I listen formula 1 online? I always listen it on radio 5 but now its blocked here. I love English commentary, any suggestion? What is the cheapest way to watch F1 races online? There are multiple streaming channels which allow you to watch the races for free. If in case that channel isn’t available in your region, you can use PureVPN to get access. The cheapest way to watch F1 is by accessing Free channels with PureVPN. You can get 2-Year subscription to access the free channels such as Star Sports (IND), RTL (GER), Channel 4 (UK), Ten Play (AUS), ABC (US) etc to watch every race live for 2 seasons. It will cost you only $2.87 per month. Which channel have Formula 1 HD live streaming with English commentary? Besides this F1 is launching there official streaming platform F1 TV which will be HD with commentary in multiple languages including English. You can check that out too. Hi Troy, Thanks for your comment. As far as comparing AirVPN with PureVPN goes, there’s a lot of difference between the two. PureVPN has servers in over 140 countries whereas AirVPN has only a handful of servers. If we compare the prices, then PureVPN also has an edge over AirVPN. On the contrary, AirVPN and PureVPN offer similar security measures: OpenVPN protocol and AES 256 bit encryption. However, both VPN providers support P2P file sharing. We tested PureVPN and found its performance to be much better than AirVPN. So, if you’re looking for a VPN to use with torrents, then give PureVPN a try. Anyone here had any luck being able to actually pay for F1TV Pro if you live outside the country you are trying to access F1TV Pro from? I would like to hear any success stories, like successful virtual debit/credit card transactions to pay for service. Looks like cards need to be from the same country as (virtual) IP location that you are trying to access services of. hello guys, I live in Cameroon and i am a massive massive follower of f1, i have been very frustrated as i have not been able to watch races live, just wondering if that will be possible if i use pure VPN?